Organic? Check. Malbec? Check. Good? Check. 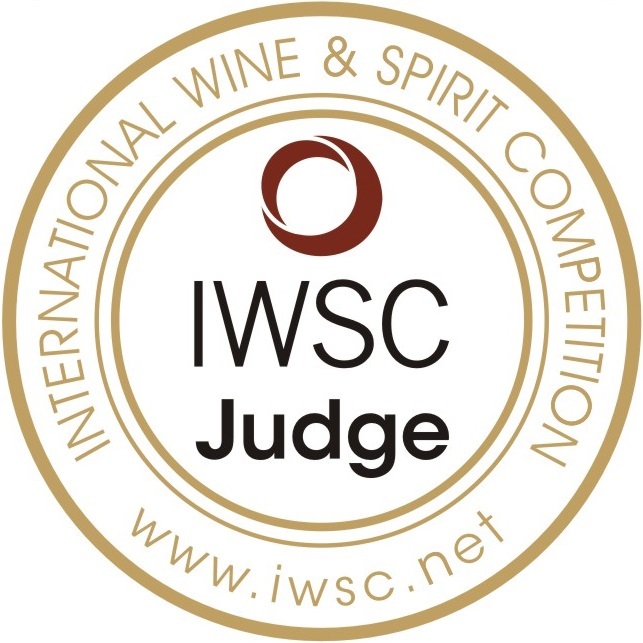 Viña Chela Reserve 2012 – YES. Hello wine lovers and happy wine Wednesday! I hope your week has been a great one. One of my favourite ladies on the planet celebrated a birthday this week – here’s to you Sylvia Talbot! There are somethings I will never tire of – a loving family, fantastic friends and great wine – I say let’s celebrate everyday we can in small ways and big ways. Whatever it takes for you to feel alive and happy – do it! OK – on to the wine review of the week…I have for you a special little bottle of Malbec from Argentina. Yes, Malbec seems to be the ‘new’ Merlot as the everyday sipper. And, what is wrong with this I ask? Nothing. 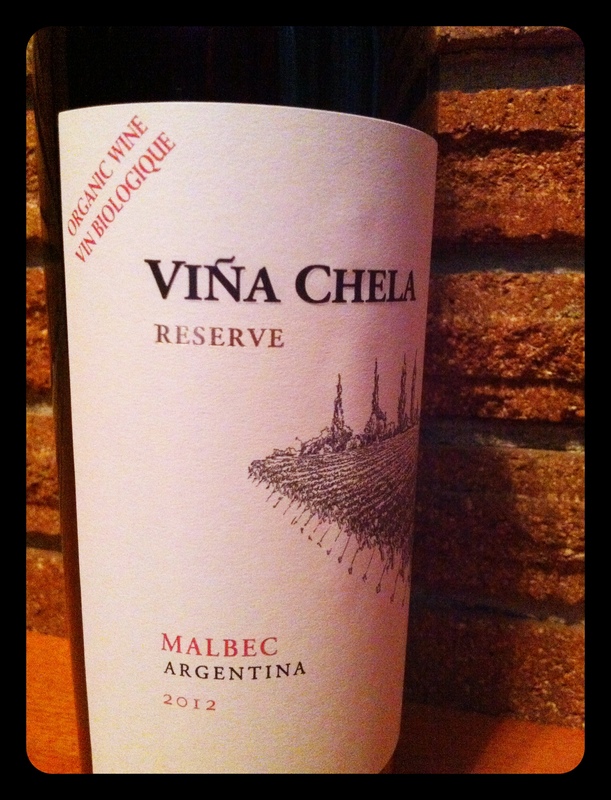 I like a juicy, fruit forward Malbec when I don’t want to get weighed down in complexity and the structure of a wine…enter Viña Chela Reserve Malbec 2012. This easy drinking Malbec comes from the Mendoza region of Argentina, famous for its’ Malbec wine. Not only is this a great little bottle at a great little price, it is also an organic wine which I know makes some of my readers happy! Viña Chela Malbec is aged in 50% French and 50% American oak for 7 months that adds a nice roundness to the wine and some great smokey flavours. In the glass, this Malbec is deep, violet purple in colour with aromas of black currant, a hint of tobacco, sweet vanilla, ripe strawberry and black pepper. There is quite a pleasing and spicy fragrance on the nose. On the palate, Viña Chela’s Malbec is a dry wine with medium plus acidity, medium body, and medium plus alcohol. There is a nice balance of tannin and flavour profile. Again, the flavours on the palate mirror those on the nose – this is not a complex wine but it is smooth and easy to drink. You can pick up a bottle at the B.C. Liquor Store for the whopping price of $13.49 for a limited time…How can you beat that? A nicely flavoured, juicy, easy drinking organic wine? $13.49? Hello! One of the reasons that Malbec’s are so popular is that they are easy drinking (some would say simple) and well priced – but what’s the harm in a good, simple wine to have during the week with your grilled meat or red meat pasta dishes? Nothing. This is a straight up GGG “Hell Yes”. GGG “Hell Yes” for value and taste. If you haven’t tried a ‘good’ organic wine – here is one to try! Pair with grilled meat, a red meat pasta dish or hard cheeses like Parmessan or aged Gouda. Yay! I like it when I find a great little deal to share with you. And, to be honest, this is my favourite ‘organic’ wine I have tasted. I am quite pleased with this find that I bought on a whim! Next week, I will review Red Rooster’s 2011 Reserve Pinot Noir. Yahoo! Can’t wait to try it 🙂 xoxo Thank you!!!!!!!!!!!!!! !